Kirk French grew up in Northeast Portland near the Lloyd Center shopping mall and spent his childhood bouncing from rental home to rental home as the eldest son of a single mom. After graduating high school, his counselor told him not to bother trying for college. So, on Friday night he celebrated graduation with his friends, and the next morning went to a job interview with Burns Brothers Inc., which operates truck stops in the area. He assertively worked his way through the company, eventually serving as its president. Later he served as the district manager of Travel Centers of America before his retirement — never afraid to get his hands dirty while visiting the different stations. 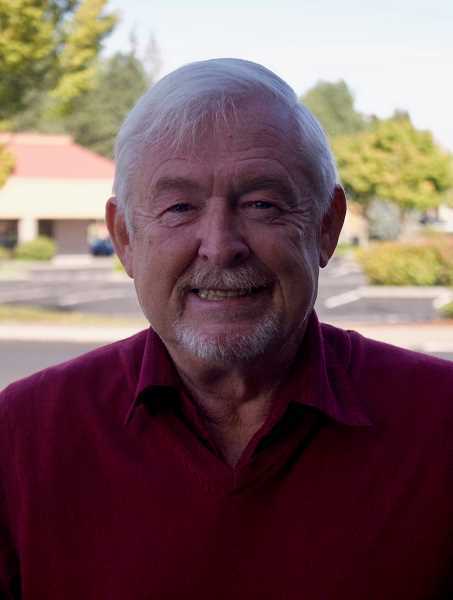 French moved to Gresham in 2007, and was elected to a four-year term on the City Council in 2014 after previously filling a vacancy in the seat for a year. He was selected by his fellow councilors to serve as council president, which will continue through the remainder of his term. Now, he is running for reelection for council Position 2, in which French intends to continue his priorities in job creation, financial stability and in-depth fiscal oversight of the city. The incumbent recently sat down with The Outlook to talk about the upcoming election. Kirk French: I am running because there is so much I have learned. I enjoy the connections I have made with the (Gresham Area Chamber of Commerce), at the neighborhood meetings, with the superintendents, the economic departments and everyone in the community. In the last five years, I have gone to so many things that aren't council meetings. Instead of making promises you can't keep — if you overpromise and under-deliver, you are no good. I'd rather try to get things done. French: When I went on council five years ago, there was talk about our youth. We have worked very hard to have a collaboration with different sources to get them resources. Boys and Girls Club, Latino Network, Open Schools, the Friday and Saturday night basketball were all supported by us. We are building and building. We had the first-ever Youth Summit at the chamber. We are trying to make a big difference with the youth. We also have to get into the parks. We have to step our game up. If we can't master plan right now, let's get some equipment in those parks. Main Street Park needs new equipment. Kirk Park — no relation — they have no equipment for kids. So, we need to look at what we can do today to get them stuff. People tell me they are still frightened of the homelessness, and the task force we had gave us recommendations on what we could do, and we are starting to have success. People are afraid of what's happening in Portland, but it's not happening here. We are going to be forming the Task Force on Housing later this month, and from there we will hopefully have the same result we had from the homeless group. Let's come together and make things work. Finally, I think the Rockwood Rising catalyst site will create jobs and opportunities. I would like to see a cultural center there, because people always come together over food, drink and entertainment. French: I have the opportunity to have my face in front of everybody in support of the council. Representation at as many events as you can is what I've tried to do. I think in 2016 I went to 26 Neighborhood Association meetings, not because I had to but because I wanted to. I have a spirit of making things better, and I want to listen, learn and further us down the road. French: Our council is probably one of the most effective the city has ever had — people who have been longtime residents tell us that. We have disagreements, but we respect each other. As a group, we work for what's best for the community. I don't think I would change a whole lot. We are doing what we need to do. French: I represent and have a desire to make the city better. I want to have everybody grow. I am out there, in front of people, and I listen. There are a lot of opportunities out there, and I want to be a part of making those dreams come true for people.